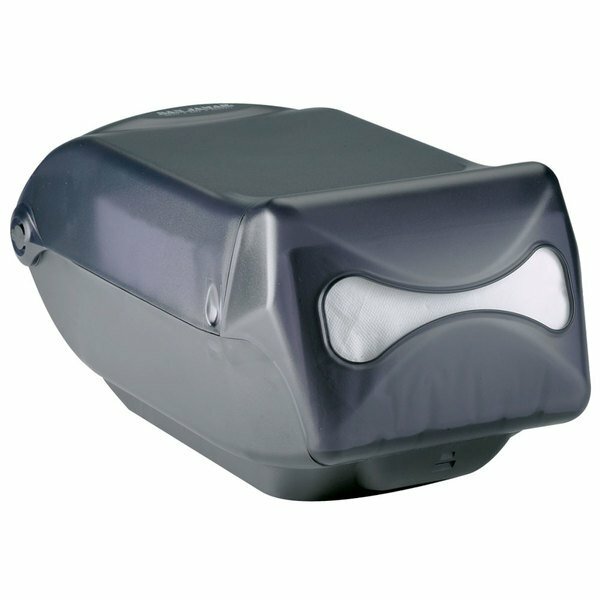 Make sure your guests have easy access to napkins when things get messy with this San Jamar H5003TBK interfold Venue™ countertop napkin dispenser. Ideal for snackbars, pizzerias, concession stands, and more, this dispenser is made of durable, break-resistant plastic that is strong enough to stand up to long-term heavy use. It also features a stackable, space-saving design which gives you twice the amount of dispensing without adding clutter to your already full countertop. The unique monorail design includes a spring-action plate that pushes napkins forward as they dispense, preventing customers from taking handfuls at a time, and a built-in overload protection system keeps the dispenser operating smoothly even when overfilled. For added convenience, it holds up to 33% more napkins than similar models, cutting down on the number of times it needs to be refilled. Keep napkins ready and available with this functional and affordable napkin dispenser! 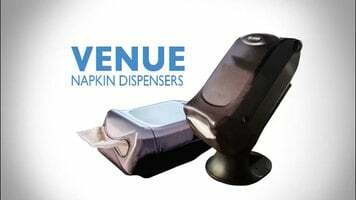 These are really good dispensers while they last, and do a great job of dispensing just one napkin at a time, but they don't seem to hold up well long-term, as the lids seem to crack and be unable to be reattached. We appreciate your review, Rebecca! Our Customer Solutions team will contact you shortly.